Microsoft has been fitting out its London flagship store for several months now, and it does not look like the store is close to opening. The store will remain under construction until at least the end of April 2019, according to planning notices recently placed around the storefront. 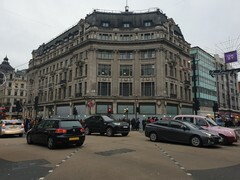 Microsoft has not yet announced when it plans to open its London store, its first in the UK and Europe, but it is unlikely to be soon. The storefront has been a blank canvas for months, and it has now been shrouded behind a wooden wall to allow for "the erection of a gantry, hoarding and scaffolding", according to planning notices placed outside the store. The notice states that construction will last at least until April 28, 2019, so we doubt that the store will begin trading until summer 2019 at the earliest. 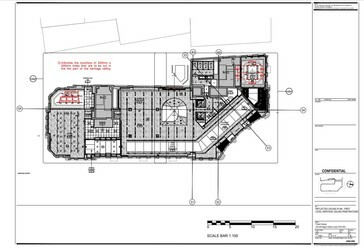 The erection of the wooden wall around the store coincides with the publication of a new planning application on the City of Westminster Council planning portal, which has confirmed the layout of the first and second floors. 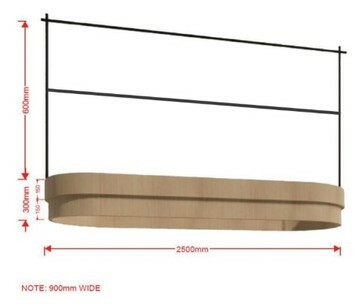 Additionally, the application contains renders for some of the light fittings that Microsoft is planning to use throughout the store. 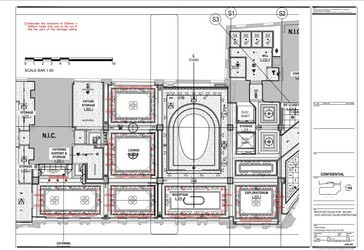 According to the planning documents, the second floor will have a lounge, a reception area and an "exploratorium", although we are unsure what the latter will contain. Both levels appear to be open plan, but please keep in mind that this is just our interpretation of the planning documents. 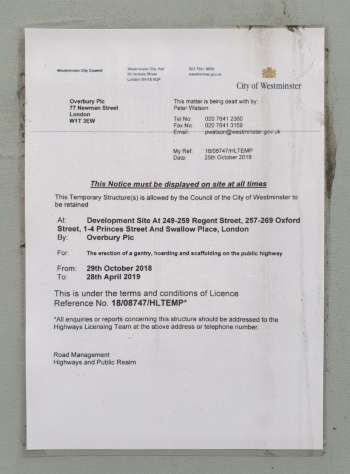 Please head to the City of Westminster planning portal and search for '259 Regent Street', or '18/10465/LBC' for the full information detailed in the most recent planning application.